The UK government has announced that it will be investing £150 million in improving mobile phone coverage. The relatively small sum has been offered up to help out those people with poor or no mobile phone signal, and is expected to push on towards coverage for 99 per cent of the UK population. 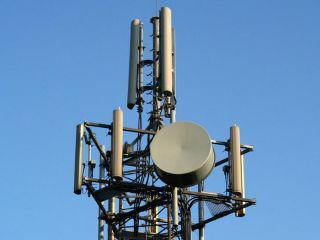 The money will be spent in the procurement of additional mobile phone mast sites and further details are expected to be announced in due course. The news has been warmly welcomed by the industry, including Vodafone and the Communications Consumer Panel. "We warmly welcome the government's ambition to bring mobile services to as wide a portion of the population as possible," said a spokesperson for Vodafone. Communications Consumer Panel chair Bob Warner added: "This injection of cash will significantly improve the lives of millions of people and help the growth of thousands of small businesses. "Inadequate mobile coverage is a major concern for the Panel, and we have campaigned for intervention to improve coverage for rural communities and small businesses. "A pure market-oriented approach to delivering coverage for 2G voice services has now reached its economic limit."